If you are local to Dunoon, we are doing another one of our ‘occasional’ worship events up at the Episcopal Church. Andrew assures me that after all the hard work the building is warmer and more welcoming than ever! The idea for these events came when Andrew asked me a year or so ago if I would revisit my worship leading past. I reluctantly agreed and found it personally very moving to lead people in singing simple songs again. I don’t know how this will develop, but at present we intend to keep it humble, keep it simple, but to follow where the path leads. 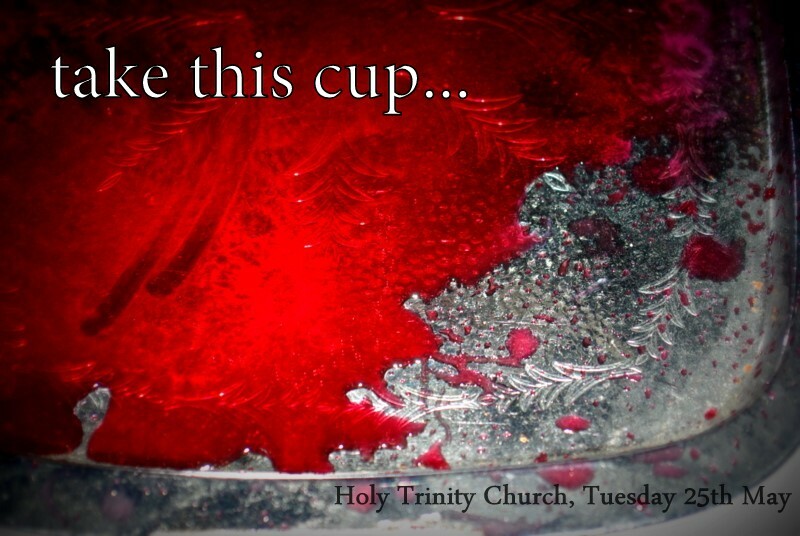 Next Tuesday this involves finding the space inside some songs, a bit of theatre, and sharing communion. Nothing more. No hype. No expectancy on anyone who comes. Just space to worship. Local folk- would you mind sharing this where you can to get some invites out? This entry was posted in music and tagged Holy Trinity, worship by Chris Goan. Bookmark the permalink. Wish we could join you all …..